It is important for families and individuals to aggressively seek more of the virtues which go beyond this mortal life. 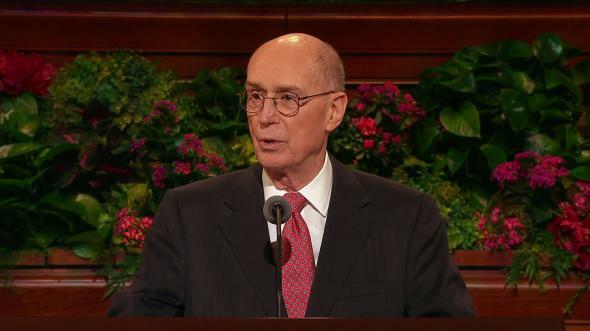 Sister Burton and I were interviewed prior to our marriage by Elder Richards’s father. 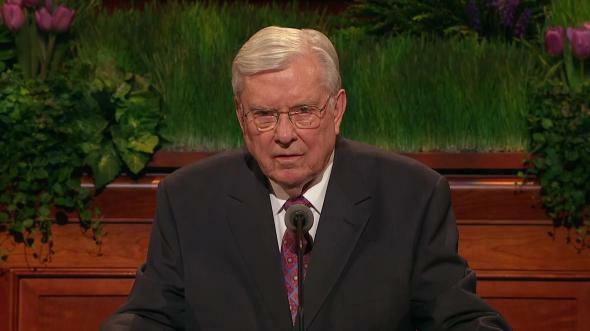 We know of what Elder Richards has spoken in this session of conference. At a recent stake conference, a young lady came up to me at the conclusion. 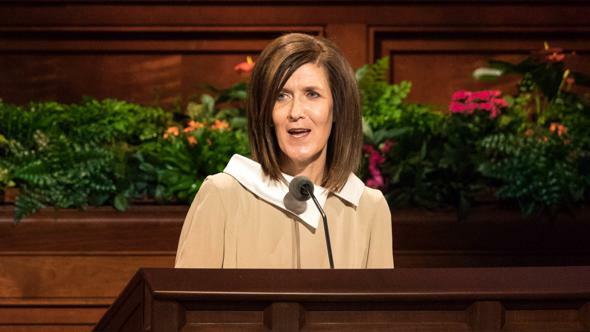 As we were shaking hands, she said, “Bishop, you could improve your general conference talks by smiling.” I wanted to tell her about fear and smiling, but I didn’t have time. But I’ll try and hope for the best. 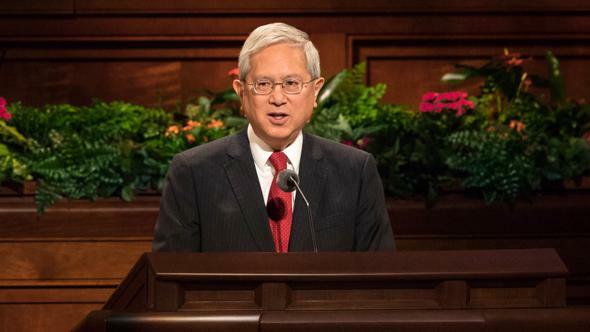 At the conclusion of every general conference, I experience a longing for more—more of the serenity of the occasion, more of the companionship of the Spirit, more of the nurturing that has brightened and blessed my soul. The current conventional wisdom is that more is better and less is usually undesirable. For some, the pursuit to acquire more of this world’s goods and services has become a passion. For others, more of this world’s wealth is necessary just to sustain life or raise living standards to a minimum level. The unbridled desire for more often has tragic consequences. 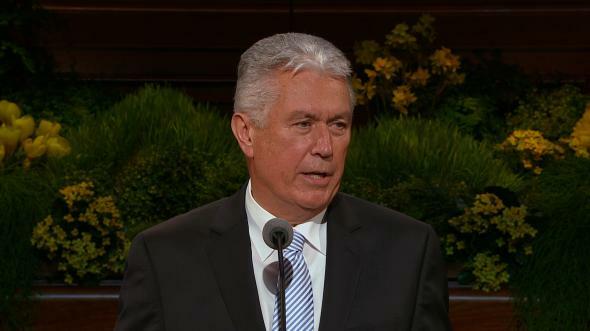 For example, President Boyd K. Packer reminded us: “We could be like a father determined to provide everything for his family. He devotes every energy to that end and succeeds; only then does he discover that what they needed most, to be together as a family, has been neglected. 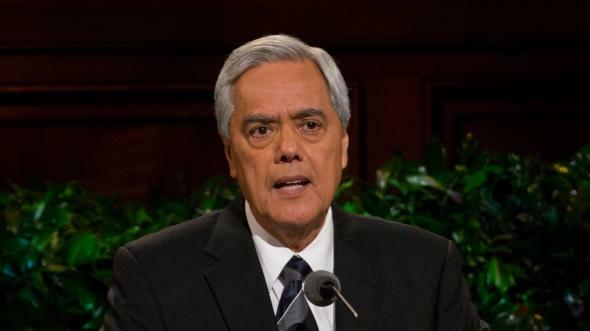 And he reaps sorrow in place of contentment” (“Parents in Zion,” Liahona, Jan. 1999, 25; Ensign, Nov. 1998, 22). Parents who have been successful in acquiring more often have a difficult time saying no to the demands of overindulged children. Their children run the risk of not learning important values like hard work, delayed gratification, honesty, and compassion. Affluent parents can and do raise well-adjusted, loving, and value-centered children, but the struggle to set limits, make do with less, and avoid the pitfalls of “more, more, more” has never been more difficult. It is hard to say no to more when you can afford to say yes. Parents are rightfully anxious about the future. It is difficult to say no to more sports equipment, electronics, lessons, clothes, team participation, et cetera, when parents believe more will help children thrive in an increasingly competitive world. Young people seem to want more, partly because there is infinitely more to catch their eye. The American Academy of Pediatrics estimated that American children see more than 40,000 commercials a year. Fewer and fewer parents ask their children to do chores around the house because they think they are already overwhelmed by social and academic pressures. But children devoid of responsibilities risk never learning that every individual can be of service and that life has meaning beyond their own happiness. In her book My Grandfather’s Blessings, Dr. Rachel Remen tells of becoming good friends with a couple and their young son, Kenny. When she visited, she would sit on the floor with Kenny and play with his two Hot Wheels cars. Sometimes she would have the one without a fender and he had the one with a door missing and sometimes vice versa. He loved those cars! 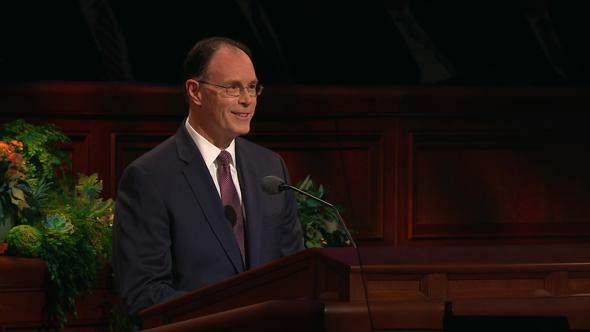 We have all heard children, after they have opened many Christmas or birthday gifts, say, “Isn’t there more?” With all the challenges present in this “more generation,” there remains divine counsel to teach our children “to understand the doctrine of repentance, faith in Christ the Son of the living God, and of baptism and the gift of the Holy Ghost, … to pray, and to walk uprightly before the Lord, … [and to] observe the Sabbath day [and] keep it holy” (D&C 68:25, 28–29). The meaning of more and less is not always crystal clear. There are times when less is in reality more and times when more can be less. For instance, less pursuit of materialism may enable more family togetherness. More indulgence of children may result in less understanding of life’s important values. Some aspects of life can be significantly enhanced by the notion that more is better. The sacred hymn “More Holiness Give Me” (Hymns, no. 131) brings to our remembrance the virtues worthy of more of our attention. 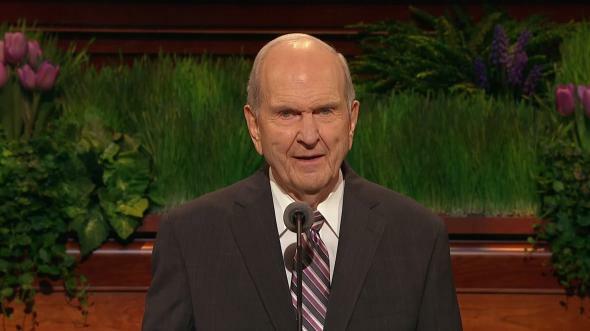 Jesus Himself described what it requires to be “more, Savior, like thee.” He said, “I would that ye should be perfect even as I, or your Father who is in heaven is perfect” (3 Ne. 12:48). The virtues expressed in “More Holiness Give Me” fall into several groups. Some are personal goals, like more holiness give me; more strivings within; more faith, gratitude, and purity; more fit for the kingdom; more purpose in prayer; and more trust in the Lord. Others center on adversity. They include patience in suffering, meekness in trial, praise for relief, strength to overcome, freedom from earth stains, and longing for home. 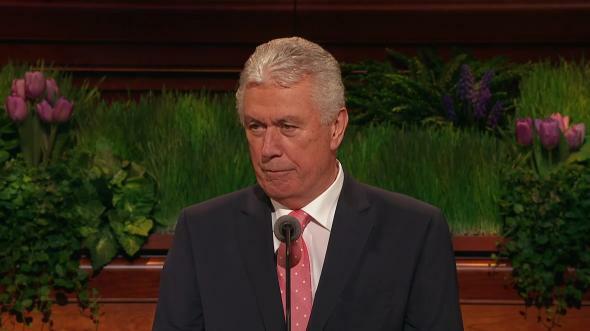 The rest firmly anchor us to our Savior: more sense of His care; more pride in His glory; more hope in His word; more joy in His service; more tears for His sorrows; more pain at His grief; more blessed and holy; and more, Savior, like Thee. More of these virtues is better. Less is not desirable. 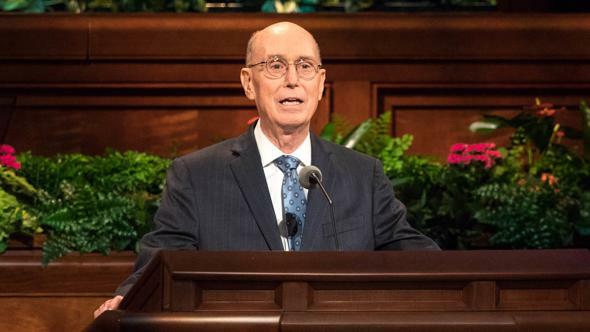 Many experience joy in His service by teaching the gospel of Jesus Christ and its Restoration and testifying of the Savior and His life, ministry, and Atonement. 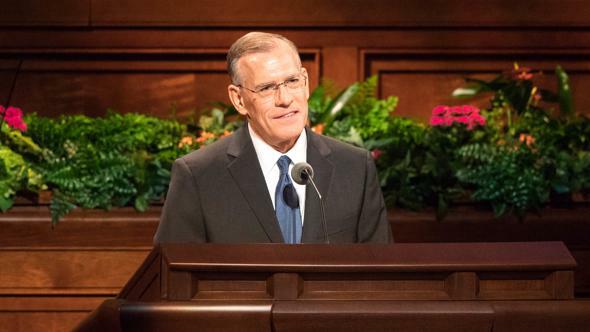 A missionary district leader was wondering why Elder Parker, who was about to conclude his mission, was successful in spite of his inability to memorize the discussions. 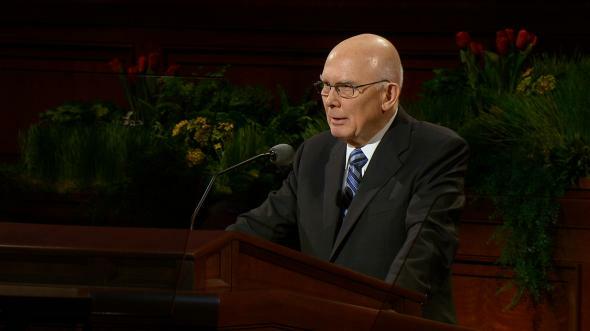 To understand, he teamed with Elder Parker to give a discussion. 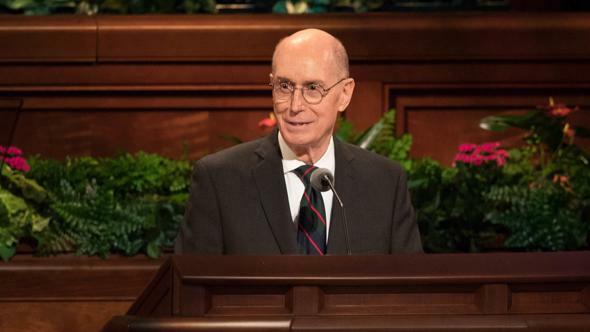 Elder Parker’s presentation was so disorganized that by the end of the formal lesson, the district leader was confused and surmised that the family being taught felt the same way. 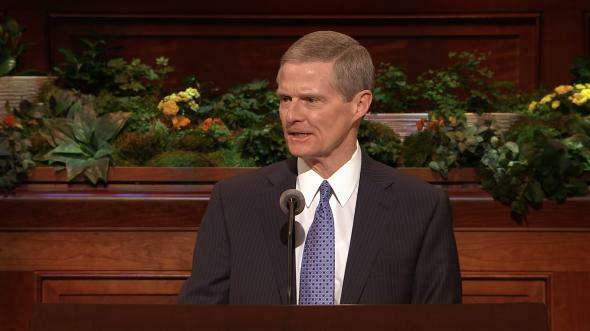 Later, Elder Parker apologized to his district leader for not knowing the discussions. He said he struggled with memorization, even though he spent hours each day working on it. He said he knelt in prayer before teaching each family and asked Heavenly Father to bless him when he bore his testimony so that people would feel his love and the Spirit and know they were being taught the truth (see Allan K. Burgess and Max H. Molgard, “That Is the Worst Lesson I’ve Ever Heard!” in Sunshine for the Latter-day Saint Soul , 181–83). What can we glean from this simple story? 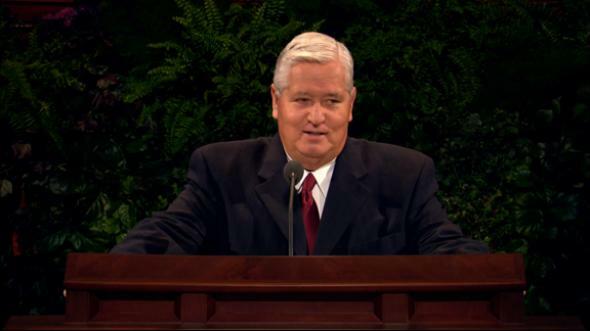 Do you think Elder Parker felt the need to strive more to learn the discussions? 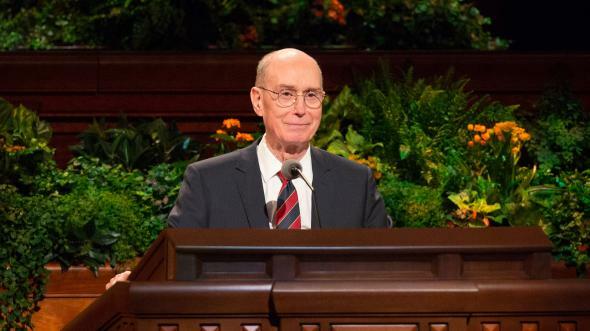 Is it possible Elder Parker came to understand the need to offer prayers with a purpose? Do you suppose his prayers were laced with pleas to garner more strength to overcome? Might the inability to memorize have brought patience in suffering and meekness in trial? 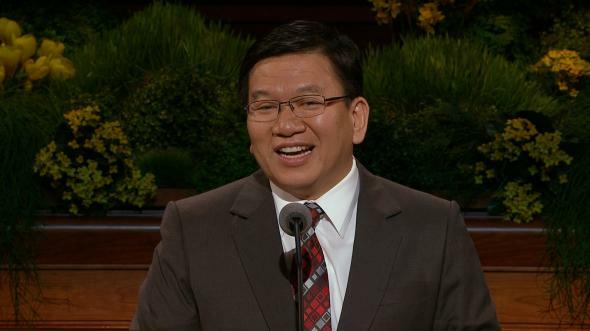 Did he demonstrate great faith in the Savior and trust in the Lord? Most certainly he did! Over the last seven weeks, four major hurricanes have come ashore in Florida and along the Gulf of Mexico. Most nations of the Caribbean have experienced extensive devastation. Food, clothing, and shelter are in short supply. Large masses of debris clog roads and yards. Local infrastructure has been destroyed or needs major repair. Last week I was in Tallahassee, Florida, and received many expressions of appreciation for the aid furnished by the Church during these emergencies. Florida Governor Bush, Lieutenant Governor Toni Jennings, partners like the Red Cross and Salvation Army, along with federal and state emergency personnel expressed gratitude that I pass on to you who performed the labor to ease the burden of cleanup and to those who have contributed to the Church’s Humanitarian Fund. Thank you. 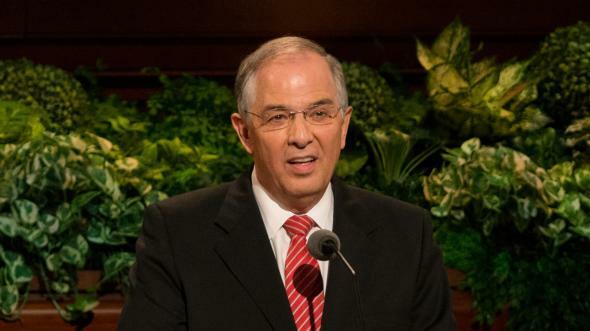 I trust you have felt more joy and more used in His service. Following the pattern of previous weekends at different locations, over 2,000 volunteers from all over the southeastern United States gathered in Pensacola, Florida, last weekend to help with the aftermath of Hurricane Ivan. They rolled out their sleeping bags on meetinghouse floors, in other churches, and in members’ homes. They responded to thousands of work orders to assist wherever they were needed. Missionaries participated by covering the roof of the local Methodist church with the ever-present blue tarps. 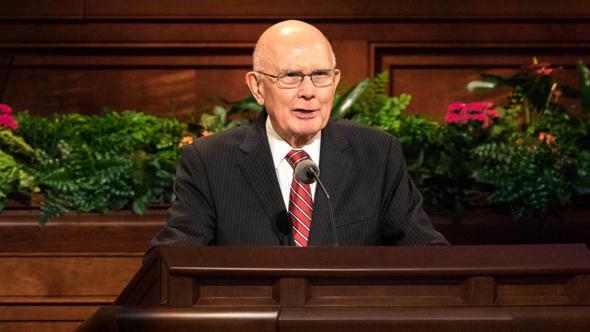 First responders, the firemen and the policemen, expressed appreciation that the Latter-day Saints had been assigned to help their families in their absence. All of this was accomplished at the same time Hurricane Jeanne was coming ashore after causing much distress in Haiti and other Caribbean locations. Thanks again to those of you who give of your means and those whose hands have lightened the load of so many. I salute you for your desire to be more blessed and holy and more like the Savior. This weekend 2,500 will be helping with the aftermath of Hurricane Jeanne. In discussing our various longings for more, I’m not suggesting we adopt Scrooge as a role model for good parenting. I am suggesting that it is important for families and individuals to aggressively seek more of the virtues which go beyond this mortal life. A prayerful, conservative approach is the key to successfully living in an affluent society and building the qualities that come from waiting, sharing, saving, working hard, and making do with what we have. May we be blessed with the desire and the ability to understand when more is really less and when more is better. In the holy name of Jesus Christ, amen.